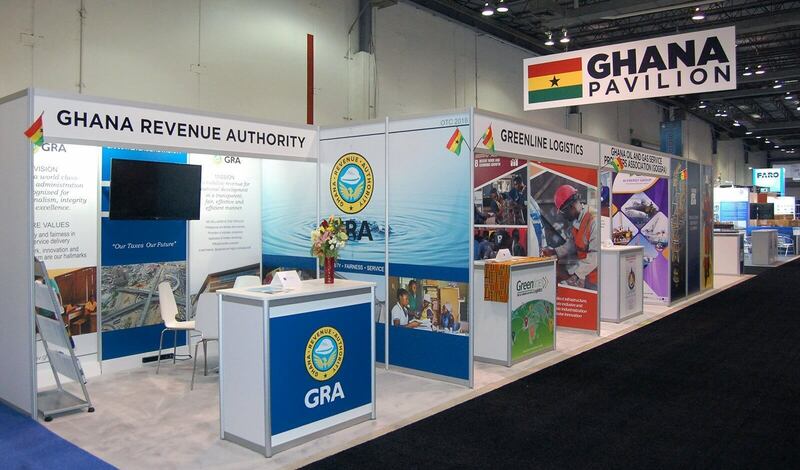 The Ghana Pavilion project was referred to Exhibit Network from a trade show industry colleague. The exhibitors in this 30 x 50 pavilion had never exhibited at the Offshore Technology Conference in Houston before and didn’t know where to begin. One of the exhibitors in the Pavilion suggested a ribbon-cutting ceremony to commemorate Ghana’s first time at OTC. To make the most efficient use of the space and to maximize traffic flow, Exhibit Network contacted show management and requested an aisle space to separate the 30 x 50 space into 10 x 50 and 20 x 50 spaces. Then we drew out the floor plan to accommodate one 10 x 20 booth and thirteen 10 x 10 booths. We sent each exhibitor our Exhibit Network “Show Kit” listing all their furniture, accessories, show services, and graphics options. To maximize visibility, Exhibit Network designed and produced a large hanging sign above the entry to the pavilion. Exhibit Network also provided the ribbon, oversized scissors, and the stanchions used at the ribbon-cutting ceremony. 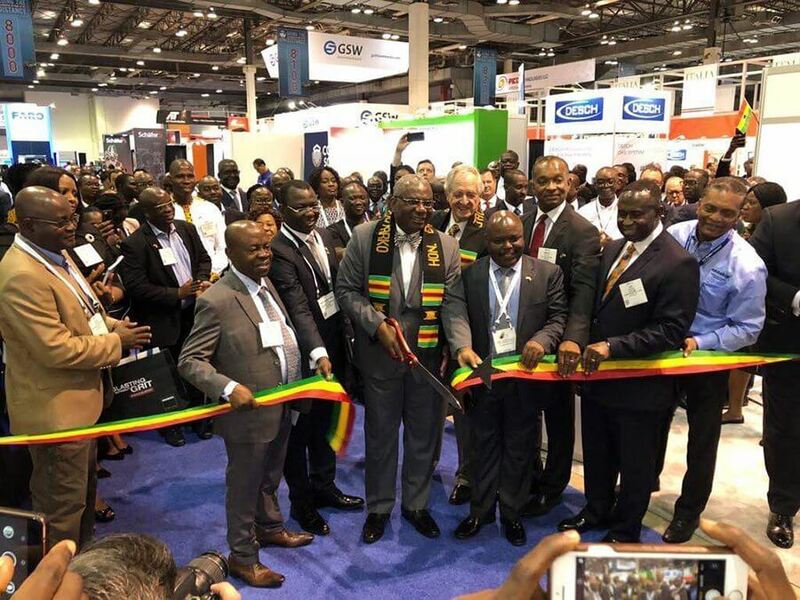 The booth traffic was steady all three days of the event and Ghana has reserved an even bigger pavilion for OTC 2019.